I'm so glad that I get a chance today to open this blog that I've created last May 2015. Yes it was last year, but I don't have any post made due to my busy schedule at my work and lots of activities last 2015. But starting today, I will try my best to share stories about my Nails. If you want to view my previous creation you can drop by on my Instagram account or Facebook page. Link is in the upper right corner of this page. So here we go! 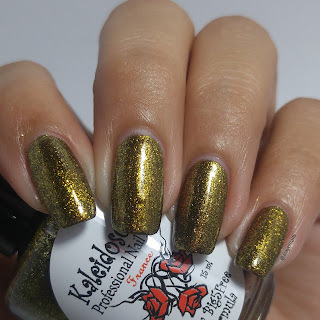 What I have for you today is a swatches of Kaleidoscope Night Dreams Collection by El Corazon. 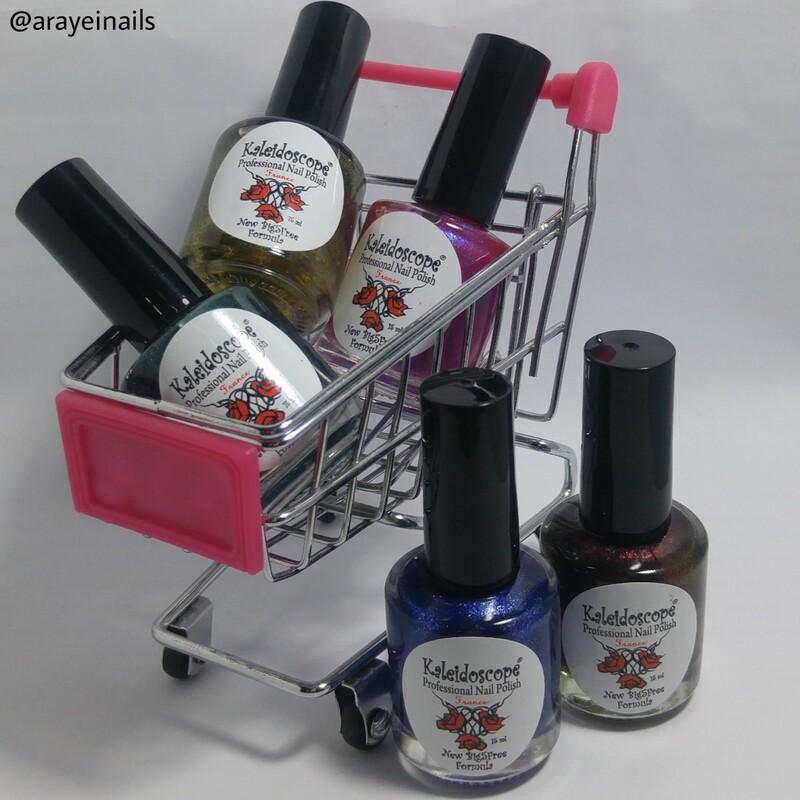 El Corazon is a popular Brand in Russia that sells original high quality products of Cosmetics, Nail Polish and Nail art tools. I know a lot of nail polish lover are eager to have this brand to be part of their collection and of course I'm one of them LOL! Happily, I finally bought them last December and they arrived last January. Due to busy schedule again, I only got chance to swatch it just now. Kaleidoscope Night Dreams collection has total of 12 polishes. Their names are match with the 12 signs of the Zodiac. This collection really caught my eyes because of its dark, rich and high concentration of shimmer. I have five of them to show you today. The first one is "Taurus", this is a metallic green shade. I can see green, cyan, and yellow micro glitters mixed on it. On my nail is 2 coats without topcoat. Second is "Cancer", a metallic blue shade with silver, yellow and dark blue micro glitters. Since its name is my Zodiac sign this is my 1st/2 favorites on them haha. I used 2 coats and no topcoat on my nails. Third is "Leo", this is my 2nd/2 favorite because of its Pink shade! It has silver and blue micro glitters. The formula is not opaque so i made 3 coats on my nails. No need of top coat as well because the formula has already perfect shine. Fourth is "Libra", a metallic yellow with full of yellow micro glitters. On my nail is 2 coats without topcoat. And lastly "Scorpio" a brown with hints of mulberry purple. Same like as "Leo" i made 3 coats on it and no top coat. And that's all folks! You can purchase these polishes at http://en.elcorazon-shop.com/. This is highly recommended brand and worth to buy.